In Great Britain, every day is time for tea and there is nothing more elegant (or expensive) than taking afternoon tea in London. Today’s post is an ode to all British tearoom’s and a chance to do a virtual visit. 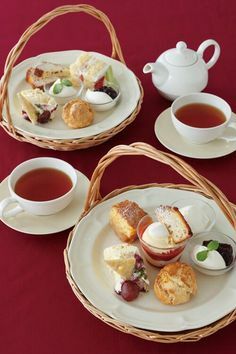 First stop, the ultimate guide to British afternoon tea, http://www.afternoontea.co.uk/ On this site you can leisurely peruse the tables of tearooms all over the country. From the Muffin Man to the Lanesbourough and every tearoom in between. I could literally spend hours on this site. (while drinking a cup of tea of course!) Don’t forget to check out the tearooms in Scotland as well. On a personal note, one of my favorite places to take tea in London is on the South Bank. At this tearoom I can enjoy a strong cup of tea with a view of Big Ben then easily stroll to the London Eye for a 20 minute bird’s eye view of the city. Tea is served in a grand old library filled with antique books and mahogany bookshelves. You feel like you have stepped into another world and you are sure that Agatha Christie will come to visit at any moment. For more info: http://www.afternoontea.co.uk/uk/london/south-bank/marriott-county-hall/ I once did 10 afternoon teas in London, in a week. I basically ate nothing else. I guess I just can’t get enough :)My favorite accompaniment to any tea time food is our new, British Bliss tea. This is a rich Keemun that will hold up the the most delicious sweets and the tangiest savories. There is no need to switch back and forth from tea to tea. If you brew a pot of British Bliss you can enjoy it with every course including cheese. Now pour yourself a cuppa and place your vote for best virtual teatime! Tea Party Girl says: What’s your favorite afternoon tea from these videos? What’s your favorite from personal experience? I would choose the Fairmont Empress hotel, unique sandwiches and nice presentation. Thanks for sharing – a great trip down memory lane for me since we lived in England for 4 years!! I want to go back and try all of these locations!